This snippet creates a numbered list of frequently asked questions. Clicking on the questions opens a slider revealing the answer. Each row of the snippet will create one FAQ. The numbers are automatically formatted in the order that they appear in the snippet. 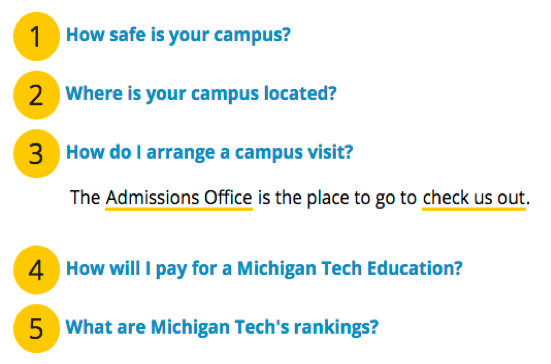 If you have more than seven FAQs together, you should try to split them into multiple categories.